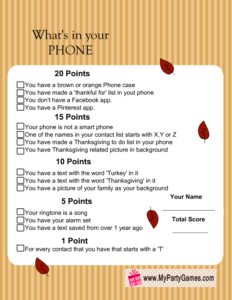 I have made many versions of What’s in your Phone game and on this page I am sharing What’s in your Phone? 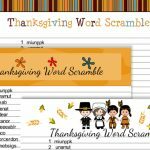 Free Printable Thanksgiving Game for Adults. You can play this game with your family members for some laugh. It is a good way to wait for Thanksgiving dinner to get ready. 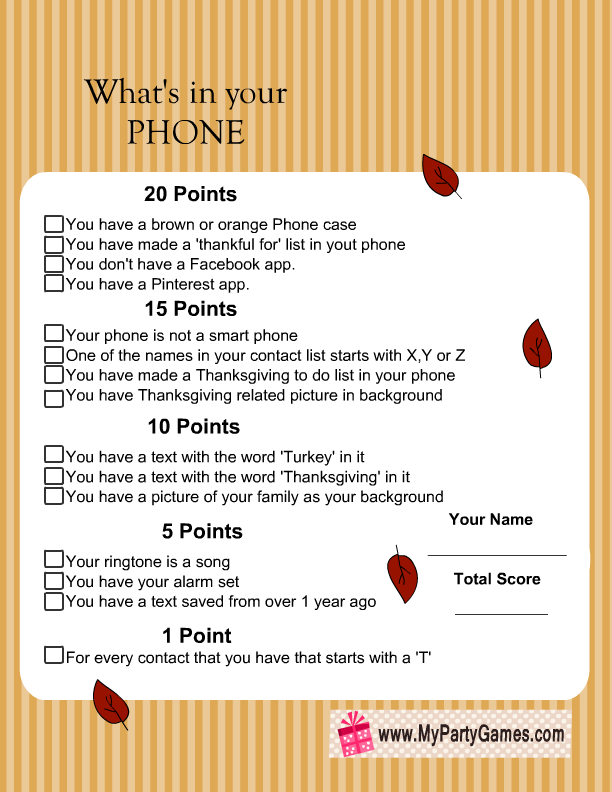 This is a just for fun game that can be played by adults of the family who own a cell phone. 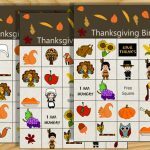 You can print this game using the printer at your home and can have a lot of fun and laughs. 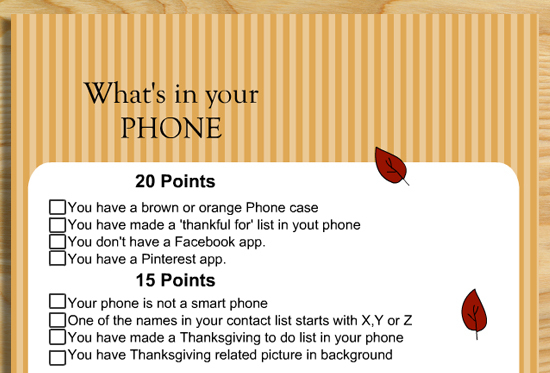 Distribute the printed What’s in your Phone game cards among your family members and guests along with a pen or pencil. Ask them to tick the boxes that are right and calculate their score. 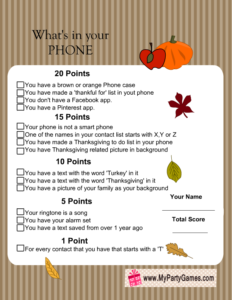 The person with most points will be the winner. 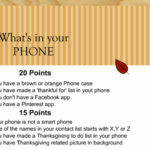 Other guests can ask the winner to show his/her phone to confirm that he or she has answered correctly. This is the first printable that I have made for this game. Just click on the thumbnail image of this game and then right click and save the bigger version. 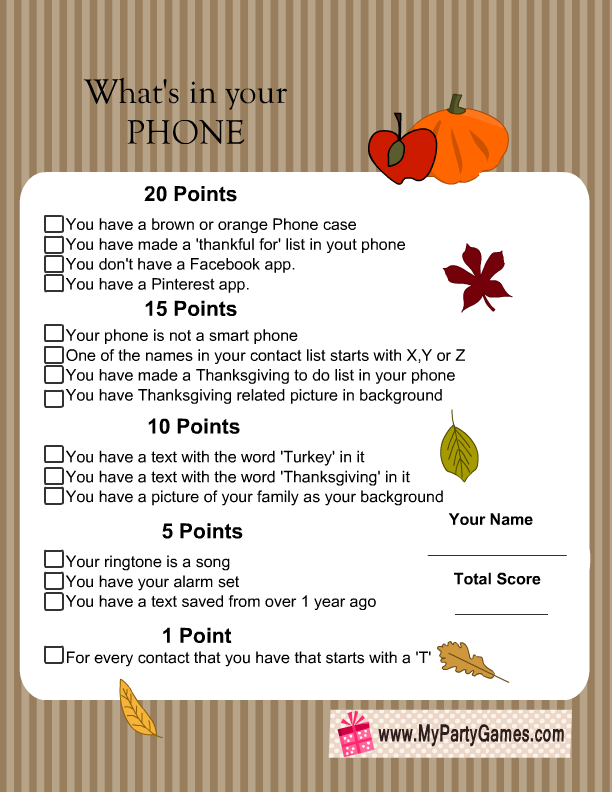 This is another beautiful free printable for this game. It is decorated with pumpkins and autumn leaves. 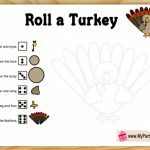 Please share your comments about my free printable games using the comments section below. Please share the links to my pages on Pinterest and other social media platforms. LOVE EVERYTHING ON THIS WEBSITE AND AM SO HAPPY I FOUND THESE. 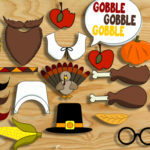 I was thinking of more things you might like to make: banners, Friendsgiving banners, and props! this website is such a blessing thank you.